The Royal Northern College of Music is one of the leading conservatoires in the UK. One of the College's unique selling points is the amount of orchestral and ensemble playing which goes on compared with other institutions in this country, and in fact Europe. That, of course, is good news for conductors! Follow the RNCM Conducting Facebook page and Twitter feed to keep up to date with all of the news. 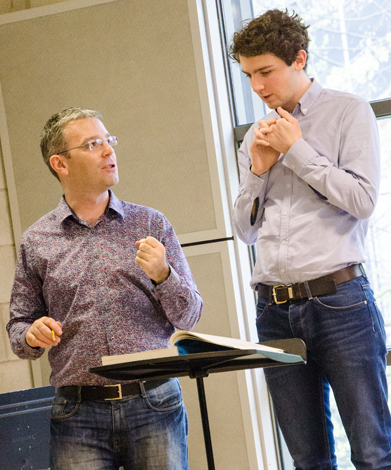 Since 2003 the RNCM has operated a postgraduate conducting course, leading usually to a Masters degree. In that relatively short space of time the programme has gained a very strong reputation as one of the leading courses of its kind. We generally admit 3 students per year for the 2 year course. As mentioned above, the RNCM is flush with conducting opportunities and the only complaint we tend to hear from the class is that they have too much conducting to do - not such a common thing on most conducting courses! The course is structured around actual practical experience, so whilst we do use classes with 2 pianists as a teaching tool, this will always be in relation to repertoire that someone is going to be conducting in the near future. Masters students regularly assist myself, Clark Rundell or a visiting conductor with a project - perhaps conducting a short work in a lunchtime orchestral concerto or one piece in a New Ensemble project. They also conduct 3 or 4 fully staged opera scenes twice a year, and prepare the Symphony and Chamber Orchestras for visiting conductors. 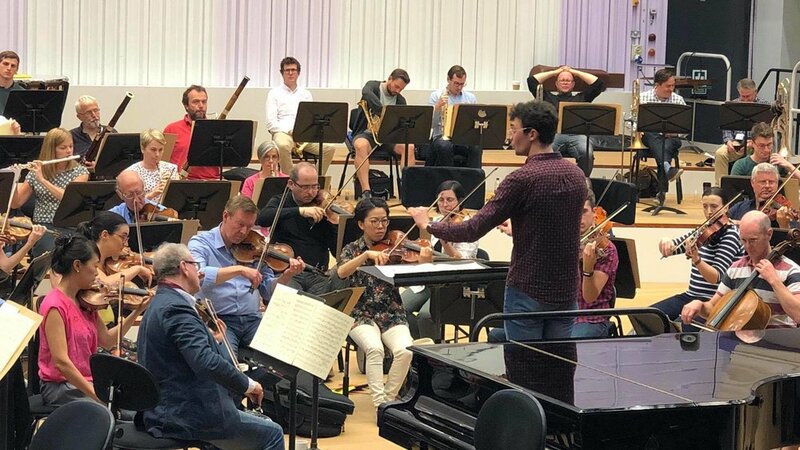 Students also act as assistant conductors, on a rotating basis, with the BBC Philharmonic and Royal Liverpool Philharmonic orchestras, working with conductors such as Juanjo Mena, John Storgards, Vassily Peternko, Sir Andrew Davis, Andrew Manze and many others. 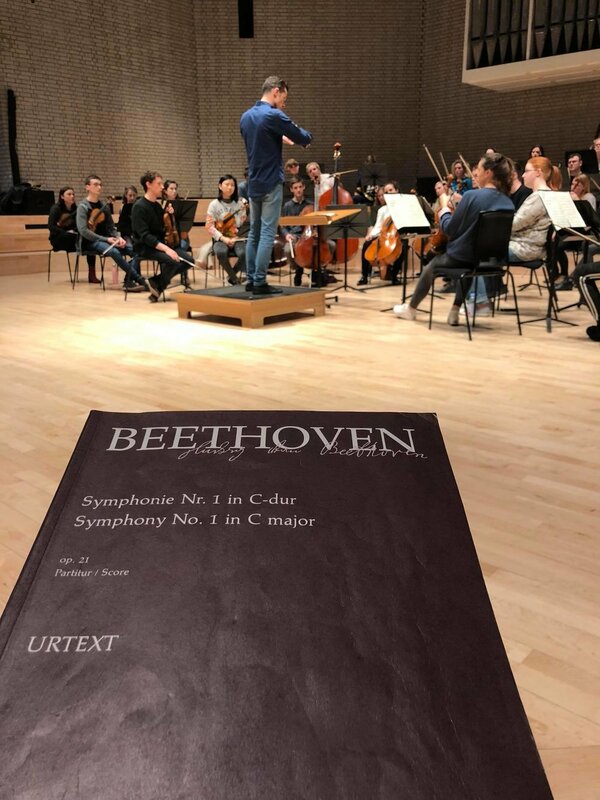 Although the bulk of the teaching is delivered by Clark Rundell and myself, lessons and classes are also given by visiting conductors and in a typical year each student will be taught by at least 6 or 7 different conductors. The final assessment for the Masters conductors takes place with a professional orchestra, the Manchester Camerata. Acceptance to the Masters course is very competitive, involving a video pre-selection round and a 3 stage live audition. Application is via the CUKAS system with a closing date usually in October for entry the following September. More details can be found on the RNCM website. Prospective students are encouraged to consider attending one of our external courses, or to visit for a few days to observe some of the teaching. We have developed a programme of external conducting training at the RNCM. These are aimed at 2 fairly broad categories of people. Details can be found here. Firstly, those who are seriously considering a career in conducting and are likely to be applying to the RNCM for a place on the Masters or Fellowship programmes at some point in the future. 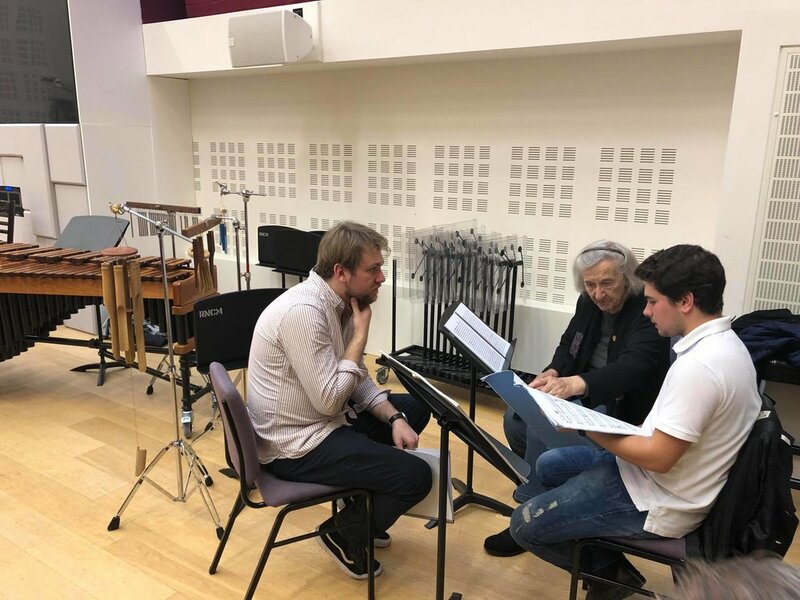 Our conducting days and weekends serve almost as an open day, giving interested students the opportunity to see what we do and how we do it, as well as the chance for us to have a closer look at people than an audition video might permit. The weekend in May features a partnership with Manchester Camerata, allowing participants the valuable opportunity to work with professional musicians. Secondly, for those working in music education or with amateur musicians, our Conducting Course for Music Educators provides structured development over 3 visits to Manchester with an e-learning element in between. Many RNCM student instrumentalists and composers develop an interest in conducting. The College does not admit principal study conductors at undergraduate level (see information about Manchester University for this) but in their final year students can elect to take a 12 week conducting option which I teach along with the 2 Junior Fellows. For postgraduates who are not 1st study conductors, there is an option to take a course which runs over 2 terms. Of course, many RNCM students who are interested in conducting also participate in the external courses described above.